At Australia Counselling we are passionate about mental health. We have over 200 psychotherapists and counsellors on our national directory who are helping Australians every day in their private practices and clinics. But there are also many amazing mental health organisations in Australia that are doing incredible work to reduce the stigma of mental illness and spread accurate and helpful information about mental health issues and promote mental wellness. So we compiled a list of the top mental health organisations in Australia who are doing their bit to improve the mental health of all Australians. Check out the list below. As we all know, people who are suffering from mental illness are highly disadvantaged and are subject to social stigma. In fact, the stigma of mental illness is one of the remaining prejudices against people who have mental illness. The Mental Health Foundation of Australia was established in Victoria over eight decades ago and is the oldest Mental Health Association in Australia. This group supports professionals and patients, as well as the concerned loved ones who are directly affected by mental illness. The group aims to provide education and works with the government to ensure high standards of the practice and training of mental health carers. The Mental Health Association NSW (WayAhead) plays an important role in educating the public about mental health. By gaining education and awareness, people can understand some of the issues surrounding the topic of mental health and illness. The organisation strives to break down the barriers of mental health and create a discrimination-free and stigma-free society that also aims for a healthy mind for all the people. The Mental Health Association QLD provides the Queensland community with easy access to updated information on mental health. Aside from promoting mental health, the organisation also aims to change people’s perception of mental illness. They strongly believe that the key to recovery is the support from family, community and proper mental care from their caregivers. 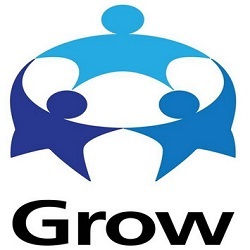 Grow is a unique organisation that comprises of a few professionals that directly work with people who have mental health problems. The approach Grow uses to address the mental issues of their clients is different from what others use. They initiate their services through mutual help, friendship and support from the community. Grow believes that by using the experiences of an individual in helping a mentally ill patient to recover from a mental ailment is far more effective. Beyondblue is one of the most popular mental health organisations in Australia that provides comprehensive resources related to mental health issues and disorders. They are a non-profit organisation that aims to increase mental health awareness and understanding of depression and anxiety to reduce social stigma. 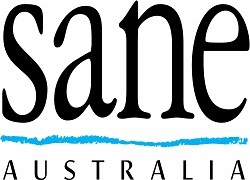 This is one of the leading providers of mental health services in Victoria and the Southern part of Australia. They are driven to provide support to their clients for them to live independently despite their mental illness and aid these clients to full recovery. The Mind Health Connect website is a melting pot of mental health resources from other organisations that are directly involved with mental health around the Australian region. The website provides relevant information about different mental health topics, particularly depression, anxiety and stress. 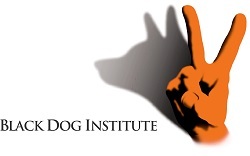 Founded in 2002, the Black Dog Institute was crafted to be at the frontline in the diagnosis, treatment and prevention of depression and other mental health related disorder. The organisation relies on research and the expertise of their personnel in delivering the care that is needed for their clients. MIFA is one of the most renowned membership-based organisations that focuses on caring for individuals who have problems with mental health. The organisation is available all over Australia; they provide different kinds of services for their clients depending on the need and nature of their problems. This is a national organisation governed by professionals from different fields of work who are directly involved with the care and mental well-being of infants together with their family. It is the organisation’s purpose to make known that infancy is the stage where it is very critical for psychosocial development, which can only be achieved by doing research, learning what information is available, become an advocate to individuals who seek solutions for problems and primarily, become a leader in providing mutual support through a network system. Funded by the Australian Government, Children of Parents with a Mental Illness provides support for children and families where a parent experiences mental illness, and aims to reduce stigma associated with parental mental illness. Kids in these situations may encounter educational, social, behavioural, and developmental challenges and resources are provided to overcome difficulties and enable better outcomes for them. A family focused approach is taken to identify strengths and vulnerabilities and then provide support as required. Mental Health in Multicultural Australia is an organisation that promotes mental health by creating projects that prevent the occurrence of suicide and preventing the development of mental illness. Their projects mainly build capacity of people affected by mental illness and also their families and communities. Mental Health Carers Australia is composed of a collective of organisations whose members are mental health carers. They present the views and perspectives of carers and advocate for changes and services to improve the lives and wellbeing of people affected by mental illness, including carers and family members. The Mental Health Coalition of SA provides a useful summary of the mental health budget of the Australian government. In their report, they presented the state’s current support and costs on mental health within a specific year. Lifeline is an Australian charity that aims to save lives, offer support during crisis and stop the increasing number of deaths due to suicide. This group provides a 24/7 information and support services online. If anyone needs help or support, he/she can chat directly to their crisis support. They also provide downloadable materials that have links to services on different mental health problems. Additionally, they provide financial help to improve mental health services by partnering with MLC foundation. Australian Association of Social Workers is a body of social workers that creates standards in the practice of social work with over 8500 members. The organisation fights for human rights, justice and social inclusion so every Australian citizen will enjoy a quality of life. The organisation collaborates with other agencies and institutions to improve social well-being and inclusion. Mental Health Services Australia depicts the Australian government in response to health and welfare system to address the mental health needs of Australian citizens. As we all know, mental health problems can cover a very broad range of disorders. 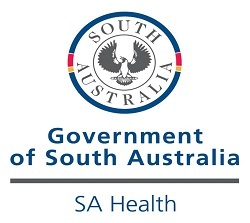 SA Health is a network of services that aims to provide a workforce that caters the mental health needs of South Australians. As a group, they have determined their priorities that are their basis in their budget allocation, the creation of policies and rules and the focus of their work. Open Minds believes in working hand in hand to achieve mental health and overall well-being. They offered personalized and tailored mental health services that are focused on the individual needs of every individual who is receiving care that includes shelter, a source of income, health and lifestyle. Orygen Youth Health is the leading mental health organisation based in Melbourne, Australia. They focused on early intervention and detection on young people from ages 15 to 25 years old. Orygen is an Australian centre for the youth’s mental health and strives to deliver quality services and cutting-edge research and ensures improvement in the care and treatments given to those who are affected with mental illness. Relationships Australia is a leading provider of relationship support services for individuals, families and communities. The organisation’s goal is to support all people in Australia to achieve positive and respectful relationships. Relationships Australia is a community-based, not-for-profit Australian organisation with no religious affiliations. Services are available to all members of the community, regardless of religious belief, age, gender, sexual orientation, lifestyle choice, cultural background or economic circumstances. 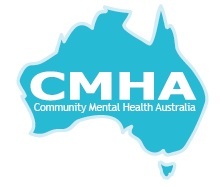 Community Mental Health Australia is a mental health coordinating council in New South Wales area. They are driven to make the community a nurturing environment for people who are recovering from mental health illness. The organisation believes that being mentally healthy means being healthy mentally, emotionally, physically and spiritually. The organisation strives to be an advocate for the development of policies that are favourable for the mentally ill. 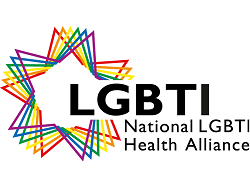 The National LGBTI Health Alliance is one of the leading organisations that provides health-related programs, services and research that focuses on the LGBTI community and their overall health state. The organisation also recognizes that all must have a fair chance with regards to their wellbeing and relationship preference. 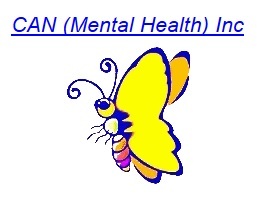 CAN Mental Health Incorporated is an organisation that aims to promote, support and enhance mental health, wellbeing and recovery of individuals who are affected by mental health disorders. Currently, it is being funded so that it could provide a peer support services needed by people who suffered from mental illness. Their peer support program is believed to be the best method of empowering mentally ill individuals and enable them to function accordingly despite their mental health condition. 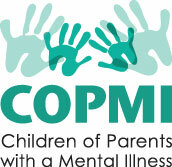 The Children of Parents with a Mental Illness (COPMI) national initiative produces information and resources for parents who experience mental illness, their children and families across Australia. Information for these groups is complemented by a robust area of resources for professionals who work with families across a range of settings. Free online training courses, research summaries and personal development tools help workers to identify and respond to the needs of the entire family where parental mental illness exists. 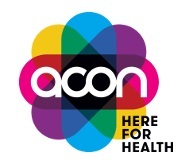 ACON is a health promotion organisation based on New South Wales, which specialises in the prevention of sexually transmitted diseases like HIV. They also cater to lesbian, gay, bisexual, transgender and intersex health issues. This is a community-based organisation that works with and support individuals that are suffering from mental illness. Through the organisations’ efforts, they aim to be a refuge and a source of strength that provides overall support that people with mental illness needs, in order for them to achieve their potential, despite the ailment that they have. The organisation strives to correct the misconception of the community about mental health illness. The clients of the organisation have experienced being rejected by their own families and peer and have been ridiculed by the rest of the people they know. If you believe we missed an important Australian mental health organisation that should be in this list, please add the link and the reason why you think it should be included in the comments. I think you have the wrong ARAFMI organisation. The one you have is for mental health CAREERS for medical professionals. The one you meant, I think, is for the carers of those who are mentally ill, formwrly also called ARAFMI. Thank you Sue, we have updated the article.